Pick your sleeping spot right next to the Academy of Natural Sciences' lions, tigers and dinosaurs! On select dates, the museum hosts an interactive sleepover where your little ones can explore throughout the exhibits, butterfly garden and dinosaur dig, go on a scavenger hunt throughout the museum and participate in a hands-on experiment. They can also enjoy a live animal show! Night in the Museum is appropriate for children ages 6–14. This activity-filled overnight adventure is every shark lover's dream! Discover the truths surrounding these top ocean predators. Take part in hands-on activities in our Shark Discovery Lab and crafts station. With an expert guide, take a nocturnal prowl through the Aquarium’s behind-the-scenes areas, including a visit to the food prep area to learn how we care for and feed our sharks. Dare to walk the catwalk, where sharks swim silently just inches below you. Try your best to fall asleep knowing creatures of the deep are lurking close by. After breakfast, test your shark knowledge with an Aquarium version of Jeopardy! Participants in the sleepover must be at least 8 years old. Grab your pajamas and sleeping bag and scurry over to Insectropolis and spend the night in our museum. Experience fun, educational activities during your overnight stay. Activities include an evening snack, a touch presentation with live arthropods, guided exploration with our knowledgeable staff, Q & A with our brainy Bug Keeper, and witnessing a feeding frenzy. Spy on our little friends with a flashlight and discover their nighttime habits. Then, relax and watch a bug movie on our big screen. The adventure ends the following morning with breakfast. This fun-filled event is recommended for scouts ages 7-12. Our Night Crawl is scheduled for limited dates in spring and fall. Additional dates may be added if needed. Event starts in the evening at 6:30pm and ends the following morning at 8:30am. Night Crawls have a maximum of 85 guests. Overnight party hours are normally 10 PM – 7 AM. However, hours are subject to adjustment for prior bookings or league scheduling. Chaperones are required on-site for entire party. Overnighters are popular for church groups, end of season team parties, businesses, bachelor parties, and more. The program is offered Fridays and Saturdays, April through June and September and October with advanced reservations required. Under the guidance of a museum educator, youth group participants experience the rustic life of a lighthouse keeper while spending the night in the historic 1879 Hooper Strait Lighthouse, located on the museum’s 18-acre campus along the St. Michaels Harbor. Programs take place from 6 p.m.-9 a.m. Brown bag dinners permitted; evening snack and continental breakfast provided. Scout groups can pre-order pizza from Domino’s to enjoy during their programs. One adult per five scouts is required; leaders and required chaperones are free. A 25-percent deposit required with reservation; full payment due four (4) weeks before program. Merit Badge Overnights available for Boy Scouts as well. Join Coco the Bear and the rest of the Hershey Bears for the annual Scout Sleepover at Giant Center. Sleepover scouts will receive a game day admission ticket, dinner meal voucher, scout sleepover patch and parking pass. Plus post game activities and entertainment. On Saturday morning, enjoy a hot breakfast before departure. Minimum order of 15 (can include game only and sleepover packages). The event generally sells out. Tickets available in seat level 100 and 200 sections. Participants will experience a one-of-a-kind 7 hour program (including spy missions!) with exclusive access to the Museum during non-operating hours, access to the museum’s permanent and interactive exhibitions, time to interrogate a real spy, 2 snacks, a continental breakfast, a take-home goodie bag, and a night you will not soon forget! Operation Secret Slumber is designed for children 9 to 13 years old. Check-in will be from 6:30 to 7:00 PM on Saturday. The program will end at 10:00 AM on Sunday. After the program concludes on Sunday, families will have complimentary access to the Museum until closing at 6:00 PM. Please be aware that we will not be able to store your gear on-site after 10:00 AM. Camp-In combines an indoor, overnight adventure with exciting, interactive science education. Camp-In includes three hands-on science workshops, a Planetarium show, an IMAX film, time to explore many of the museum's interactive exhibits, and limited time to shop in the store. Camp-In also includes an evening snack, a light breakfast and a participation patch. Check-In begins at 5:15 PM and the program ends at 9:00 AM. Join other zoo-loving families for an educational family sleepover inside Penguin Coast. You and your children will explore Zoo exhibits to learn about African penguins, polar bears, African reptiles and mammals and some of our local nocturnal animals. Price includes dinner, Continental breakfast, games, activities, and admission to the Zoo on the following day. Dinner menu: Caesar salad with garlic and herb breadsticks, hand-tossed cheese, pepperoni or vegetable pizza, and a variety of soft drinks. Breakfast menu may include: breakfast sandwiches, pastries, muffins. 10-20 People $75 per person age 6+. Your overnight excursion will include an evening snack, a keeper led tour of an exhibit area, a flashlight hike through the Zoo to check out the awesome nocturnal animals, a good night’s sleep in a tent proved by FONZ, under a blanket of stars on Lion/Tiger Hill. A family friendly scavenger hunt, a continental breakfast, and the chance to say you spend the night at the zoo! Penn Museum's sleepover, 40 Winks with the Sphinx , invites guests to an overnight "expedition" of the Museum. The night's activities are geared to take intrepid explorers on a journey through time and across continents, with hands-on opportunities, through games and crafts, to explore ancient Egypt, the mummies and hieroglyphics, the ancient Greeks and Romans, the world of the ancient Maya, and more. An unforgettable experience for kids, ages 6 to 12, and their parents or chaperones! See our Events Calendar for scheduling and online registration. A scavenger hunt and an evening expedition through the galleries by flashlight offer new ways to connect with the ancient artifacts awaiting discovery. Later in the night, explorers roll out their sleeping bags—to doze at the foot of the third largest granite Sphinx in the world—surrounded by the 3,200-year-old pillars from the great palace of the Pharaoh Mereneptah, son of Ramesses II. 40 Winks with the Sphinx concludes with a light breakfast in the Museum Café, then time to explore the galleries by day, and visit the gift shop. Space is limited and dates sell out quickly. Please call 215.898.2680 for the latest information and available dates, or simply check out our Events Calendar where you can find an available date that works for you, then reserve your spot immediately by registering online. Scouts are welcome! Experience the Zoo like never before when you book an overnight adventure! Start the evening off with a visit to some of our animal buildings, open late exclusively for you. The fun continues with an animal keeper meet-and-greet, followed by a late-night hike, crafts, activities and so much more! After a night of roars and snores, wake up with wildlife to set out on an expedition to enjoy the Zoo during the day. Space is limited and these wild events fill up quickly. Call 215-243-5275 or email overnights@phillyzoo.org to reserve your program today! Available programs include our Overnight and Private Overnight experiences and are perfect for children ages 6-13. Check-in starts at 5:30 p.m. The program concludes when the Zoo opens the following day at 9:30 a.m. Admission to the zoo that day is included with the program. Dinner and breakfast are available for purchase at Tiger Terrace. A complimentary snack is included with the program. Imagine taking your scout or youth group on a journey through ancient Egypt; exploring a mystery house; and climbing a 3-story tree house; all within one night! Overnight Adventures combines the fun and excitement of exploring the great indoors of Port Discovery with hands-on, educational workshops! Take an incredible journey in the footsteps of one of the world's most famous explorer, writer, radio and television personalities - Robert Ripley. At Ripley's Extreme Sleepover, participants experience the thrill of adventure to far away lands, encounter astonishing people and discover objects so outrageous they must-be-seen-to-be believed. There is a reason Ripley's Times square is one of New York's most popular attractions and this one-f-a-kind museum sleepover experience is one you don't want to miss! After a delicious dinner and as the crowds on 42nd Street begin to fade, participants are led on an awesome flashlight scavenger hunt to find fossils, mummies, alligators, meteorites and even some living artifacts. If it's weird, wild, odd or bizarre, you can bet we have it and you'll see it. All sleepovers are age appropriate for ages 6yrs - 18yrs old. The North Tract entrance of the Refuge offers camping to scouts mid-March through the end of June. Camp sites are for primitive camping - use of tents only! Please contact North Tract at 301/776-3090 for more information. • Choose an overnight itinerary and stay in one of the large campsites onsite. • Have pizza delivered or roast marshmallows over one of our fire pits. Historic Ships in Baltimore's Overnight Adventures offers groups a unique opportunity to walk in the footsteps of sailors and learn about life aboard a mid-19th century Navy warship, a World War II era Navy Submarine, or a Coast Guard Cutter that witnessed the bombing of Pearl Harbor, HI. Just as importantly, they have fun! • A deposit of 20% of the program's total cost is required to confirm date. The final balance is due no later than 60 days prior to the program date. Ages 7-10 Enjoy Terrapin Explorer Kid’s Course, Stargazing & S’mores Overnight inside Savage Mill.6:00 PM -8:00 AM. 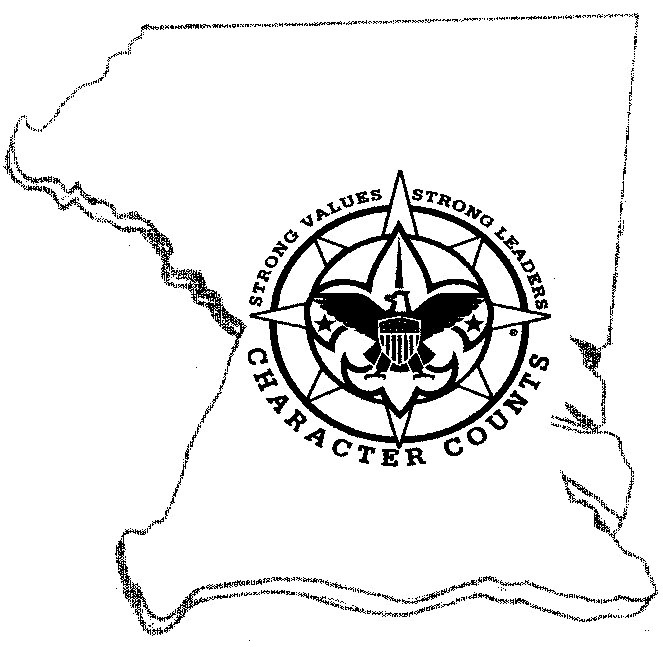 Call 301-725-1313 if you have 15 or more scouts to schedule a custom program. This adventure is perfect for the younger explorer! We will be traversing our brand new Explorer kid’s course and then get to experience the night sky by creating a craft to help us learn where to find the season’s constellations. We will then take the adventure back outside and view the stars for ourselves while snacking on some s’mores! We will be sleeping inside the two party rooms we have. Participants get pizza and, non-caffeinated drinks for dinner. Then they get breakfast in the morning of cereal, fruit, and juice. Parents get bagels and coffee in the morning. The adventure will go from 6:00 PM- 10 PM, lights out at 10:30. No more than 30 boys per night and we are doing a 6:1 ratio for the boys: chaperones. We will be having two Terrapin Adventures staff staying the night. $65 per Cub Scout and $40 per adult. Terrapin Adventures patches are included. Pricing subject to change and we can customize a program especially for you. The scout prices require a minimum of 10 participants. Our specially trained guides will help your scouts realize their potential. Our course is built & inspected by Inner Quest, one of the founding members of the Association for Challenge Course Technology. We carry general liability, workers compensation and property insurance up to industry standards. TA is an approved vendor with the Girl Scouts. We emphasize safety first and all staff is CPR and first aid certified. Terrapin Adventures also has bike & kayaking trips for your troop. Call our office at 301-725-1313 to consult with one of our group planners and check date availability or fill out the Group Inquiry Form.